5 star Gold luxury B & B Ocklynge Manor sits within a 3/4 acre ancient walled garden and was once the home of Peter Pan artist Mabel Lucie Attwell. Private parking in gated courtyard. Quiet location. Free wifi. Egyptian cotton linen. Home-made bread and conserves. Open with National Garden Scheme. 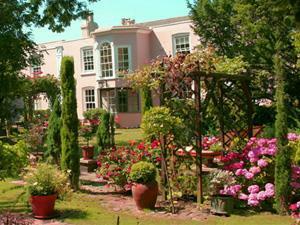 Featured in "The Independent's 50 Best British Bed & Breakfasts 2007 and 2011". 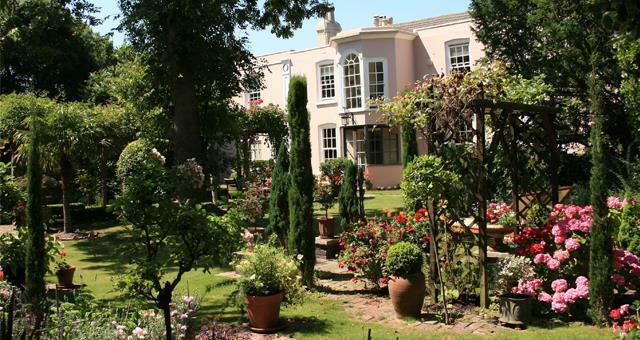 Selected as one of the 10 Best Bed & Breakfasts on the British Coast - Coast Magazine - March 2009. All rooms overlook garden. There is a wide selection of classical and modern books available to guests in the drawing room, as well as playing cards, scrabble, chess and mahjong sets. Amazingly beautiful house - everything that English accomodation should be - and more. I received such a warm welcome on arrival and nothing was too much trouble for the owner. The room was extremely spacious and very well appointed. To be honest I cannot speak too highly of this house - and will definitely be returning in the near future, for a longer visit to the area. 3 minutes in taxi from Eastbourne Railway Station.